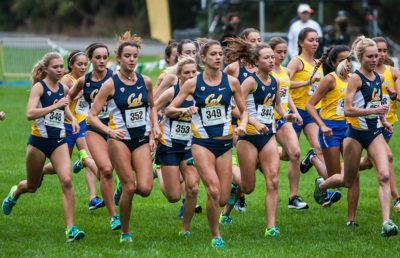 This past Saturday, the Cal cross country team closed out the regular season in solid fashion. With only two weeks remaining before the Pac-12 Championships, the Bears competed at the NCAA Pre-Nationals and the Santa Clara Bronco Invitational. The NCAA Pre-Nationals brought the women one of their best performances on the season, finishing eighth out of 41 teams with a time of 1:45.2. The LaVern Gibson Championship Course saw junior Bethan Knights run the 6K course in 20:21.0 to place eighth out of a field of 284. Following behind Knights for the third straight meet was sophomore Marissa Williams, who finished the race in 20:52.1. Redshirt senior Xochitl Navarrete came in third on the team’s scoring, clocking in at 21:06.5. 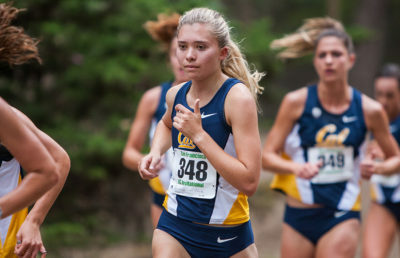 Two seniors closed out the event for Cal in Georgia Bell (21:30.6) and Megan Bordes (21:37.2). The men’s time of 2:04.5 brought them similar success in which they were able to finish 10th out 40 teams. The 8K course once again showcased sophomore Robert Brandt beating out redshirt junior Trent Brendel, but this time around it wasn’t even close. Brandt would clock in a time of 24:27.8 to place 25th out of field of 263, while Brendel crossed the finish line in 24:43.7. Redshirt sophomore Steve Correa contributed to the Bears’ scoring when he came at 25:10.3. What would follow were two finishes within the same minute as junior Garrett Corcoran’s 25:13.4 and sophomore Kai Benedict’s 25:16.1 concluded the day in Terre Haute, Indiana. 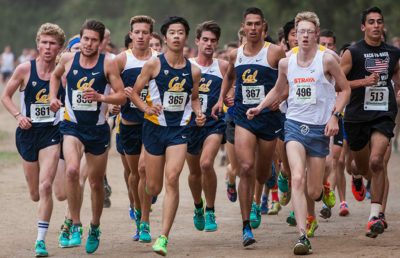 Meanwhile, at the Santa Clara Bronco Invitational, the only team Cal carried to Sunnyvale, California, was the men’s team. In the 8K race, sophomore Leland Jones started the day off for the Bears with a time of 24:11.6 to finish 11th individually. Following behind was junior Cameron Tu (24:29.2) placing in 19th, while redshirt sophomore Max Leach timed in at 24:32.2, locking in three runners in the top 25. Coming in 30 seconds later was another redshirt sophomore in Eugene Hamilton III, with junior John Hogan closing the scoring with his time of 25:26.8. Running individually in the women’s 6K race was junior Nuria Tio Pieg and redshirt freshmen Natalie Herberg and Jackie Chandler. Pieg’s 20:47.2 placed her seventh out of 170, while Herberg and Chandler would come in almost a minute later, finishing a second apart. 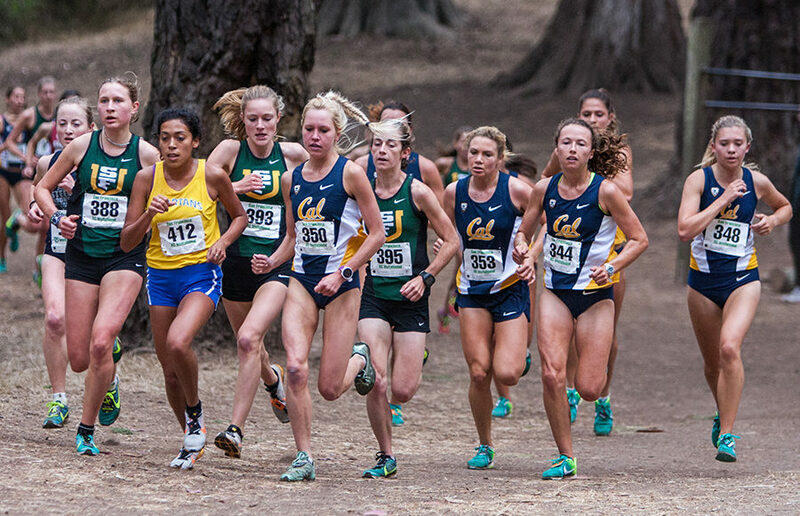 The Cal cross country has peaked at the right moment, as it will look to carry its development into the postseason.